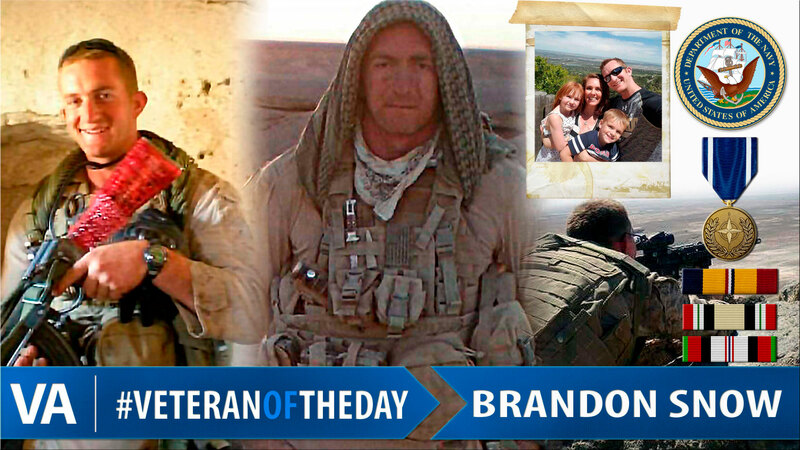 Today’s #VeteranOfTheDay is Navy Veteran Brandon Snow. Brandon served in Iraq and Afghanistan as a Navy Corpsman. Brandon was born in Alamosa, Colorado and joined the Navy after September 11, at the age of 18. He became a medical specialist, known in the Navy as a corpsman, and served with the 1st Marine Division’s 3rd Battalion, 5th Marine Regiment and the 3rd Marine division’s 2nd Battalion, 3rd Marine Regiment as a medic. Brandon deployed to Iraq and Afghanistan with the mission to save lives and rescue Marines. Today, Brandon continues to serve fellow Veterans as a telehealth tech at the San Luis Valley Veterans Affairs clinic in his hometown, where he lives with his wife and two children. He interacts with patients and conducts exams while doctors in other cities watch through a video conference. Brandon frequently connects with Veteran patients to help explain the VA process. He is also a member of the Alamosa Volunteer Search and Rescue Team. Thank you for your service, Brandon! Nick Pearlman is a junior studying Government and Business Analytics at William and Mary. He is originally from Pittsburgh, Pennsylvania and is currently a writing and social media intern at the U.S. Department of Veteran Affairs.